Here at Bella Vista, we merge the best qualities of a living in a comfortable home with going on to an exciting vacation! With impressive finishes and resort-style amenities, our apartments will go beyond your expectations! A vibrant new lifestyle awaits you, embrace it. 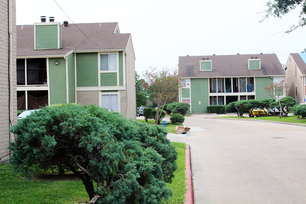 We house some of the most spacious rooms and plentiful accommodations among Briar Village apartments! 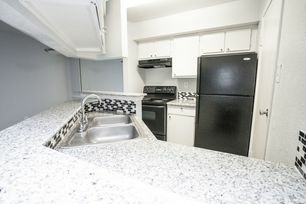 Our 1, 2, and 3 bedroom apartments range from 620 to 1400 square feet in size with updated amenities, all to fit your unique preferences. You’ll enjoy your individual storage space, dishwasher, washer/dryer hookup, large closet and beautiful kitchen appliances. Enjoy the cool night on your own private balcony and patio space or warm up next to your fireplace! And don’t forget to bring two of your furry companions along! Our gorgeous community will further excite you with its friendly residents, compassionate management team, and neighborhood wide amenities. Spend quality time with your family at our complimentary playground! Organize parties and events with your friends in our large clubhouse! Get ready for the summer season in our up to date fitness center. Then cool off in our large swimming pool. Whatever your needs are, Bella Vista will meet them! Come visit our leasing office and let our wonderful staff amaze you with our floor plans and guided tours. At Bella Vista, the vacation never leaves your home!